As part of an institutional thematic week in The Hague, the entire staff of the Netherlands Institute for Multiparty Democracy participated in the Perspectivity Challenge, in which they took up the challenge of developing the economies of fictional countries to gain as much combined revenue as possible. During this game, the participants of NIMD had to choose between fast economic growth from polluting factories and sustainable growth with clean factories that cost more revenue. After a few rounds, the necessity of communication, negotiation and collaboration became highly apparent when environmental destruction and economic crises struck upon the economies as more and more polluting factories were built instead of sustainable ones and short term individual gain competed with long term collective goals. The unpredictable and sometimes chaotic nature of the game presented us with a recognizable reflection of how in NIMD’s work in political party assistance, different interests of political actors have to be negotiated through inclusive settings and collaborative and accommodative attitudes, in order to achieve successful and democratic policy development. The importance of building trust between actors, finding solutions through negotiation and dialogue, and establishing a sustainable and functioning system for actors to operate in, were important lessons learnt by game. This is especially important in a situation where the rules are not always clear and are made up or presented while playing it. 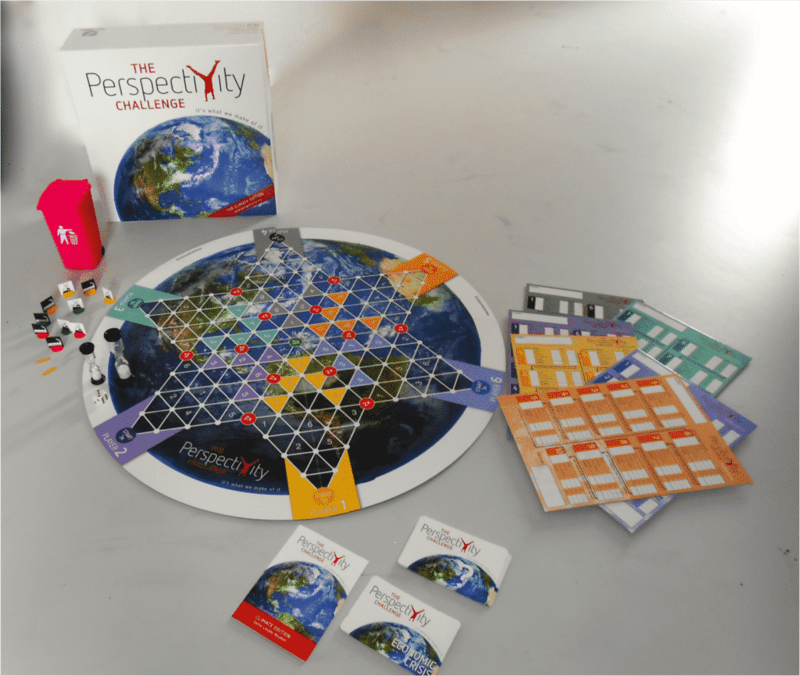 The fact that the Perspectivity Challenge captured these conditions that can also be found in our everyday work, made playing the game a very meaningful learning experience!